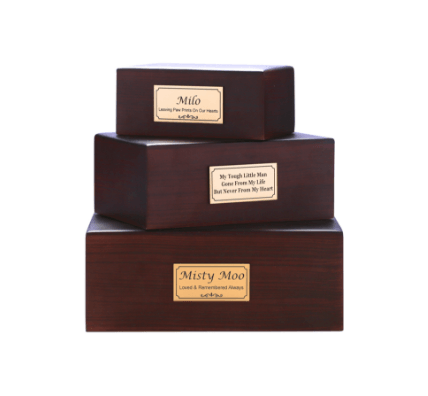 This gold-coloured rectangular plaque is a perfect engraving option for those memorial boxes or keepsakes in memory of your loved one. Included text engraving of 60 characters. Clipart and additional character engraving is available at an additional cost. Starting from $14.50 for 3cm by 6cm.